Make a Huawei Mate 20 Lite personalised case. Design your own transparent phone case with photos. The nicest protection for your smartphone. Are you looking for the best protection for your Huawei Mate 20? Then you're at the right place. 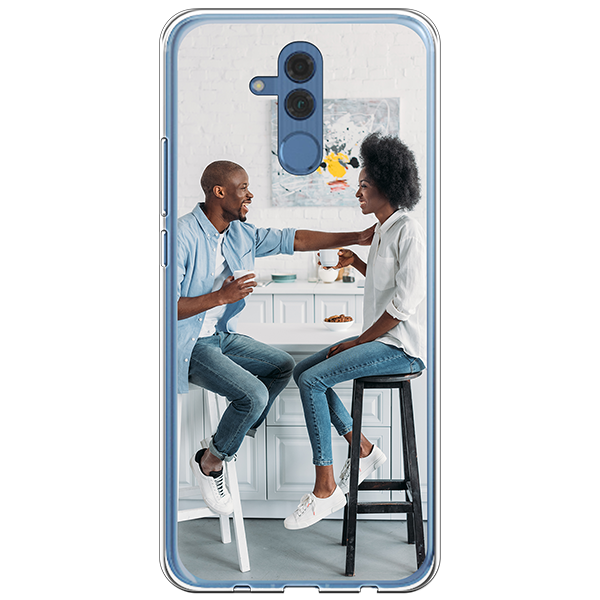 With us, you can design your own personalised Huawei Mate 20 Lite case. Do you want to prevent your phone from bumps and scratches? Why take the risk of cracking your phone? Then this personalised phone case is perfect for you. The silicone case protects the sides and the back of your phone giving it the best protection. It's protective but not too bulky so you can continue to see the original aspect of your mobile phone. Looks good, right? 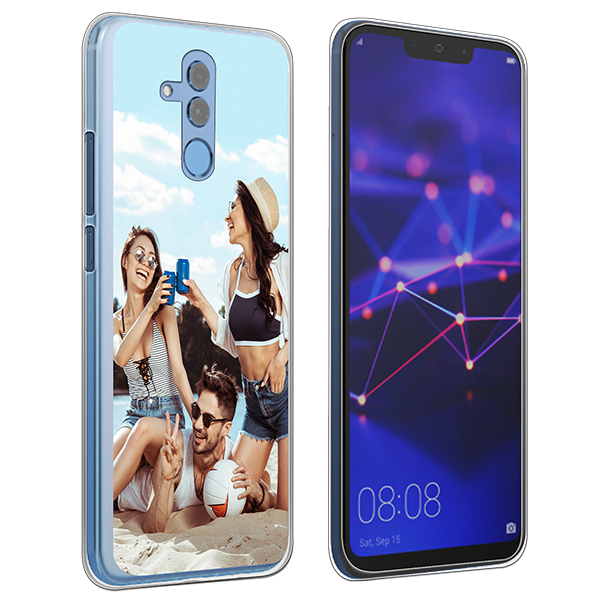 Designing the Huawei Mate 20 Lite personalised case is simple. Would you like to know how to do this? Read on! Start by clicking on the "Design Now" button above. Immediately you will be redirected to the design module where you can make your own design. Upload the photo you would like to see on the cover, add text and you're done! Add your one of a kind case to your cart and proceed to checkout. Enter your address details and then click on the most appropriate shipping method. Double check everything is correct and continue to the payment. It is actually not possible to change your order after payment. Our systems are automated, so our team will immediately be working hard to produce your case. As soon as we see your order coming in, we make it our priority to print it as soon as possible. Because we like to deliver the case to you as quickly as possible, it becomes difficult to interrupt the production process. Therefore, it is always important to check the type of case and the design in the shopping cart! 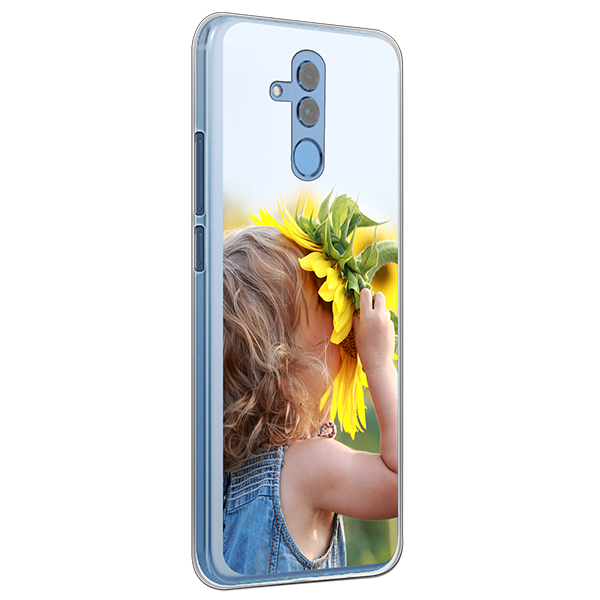 If you have any other questions about the Huawei Mate 20 Lite personalised case, please check the FAQ or contact our customer service department, they will be happy to help you.